What makes a workshop at Diaper Lab great? Our experienced and knowledgeable educators and staff! We've given hundreds of workshops to thousands of families in the New England area. We're excited to welcome you to our community! Our most popular class! 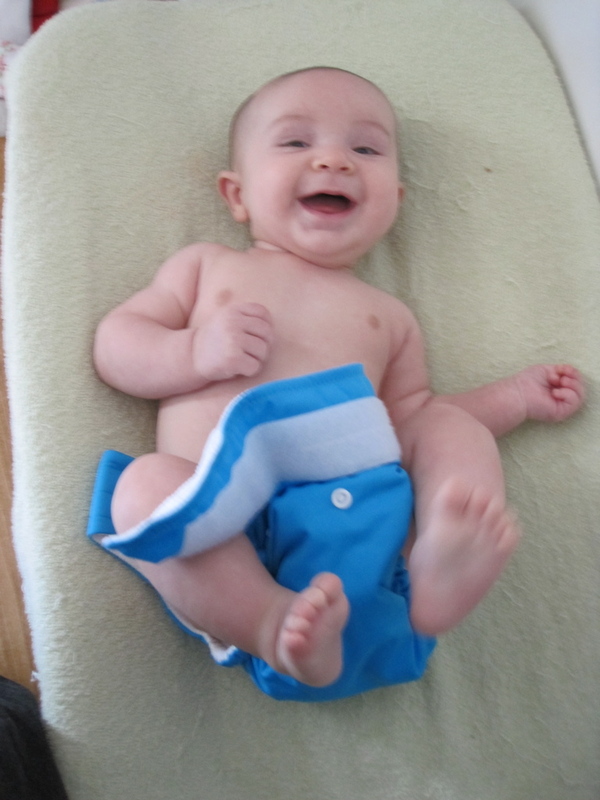 Learn about cloth diapers and find out why many customers have called this the "best class for new parents" they've attended! Registration is limited and classes fill early, so sign up now. Thinking about babywearing as a way to bond when your new baby arrives, or as an easy way to travel? 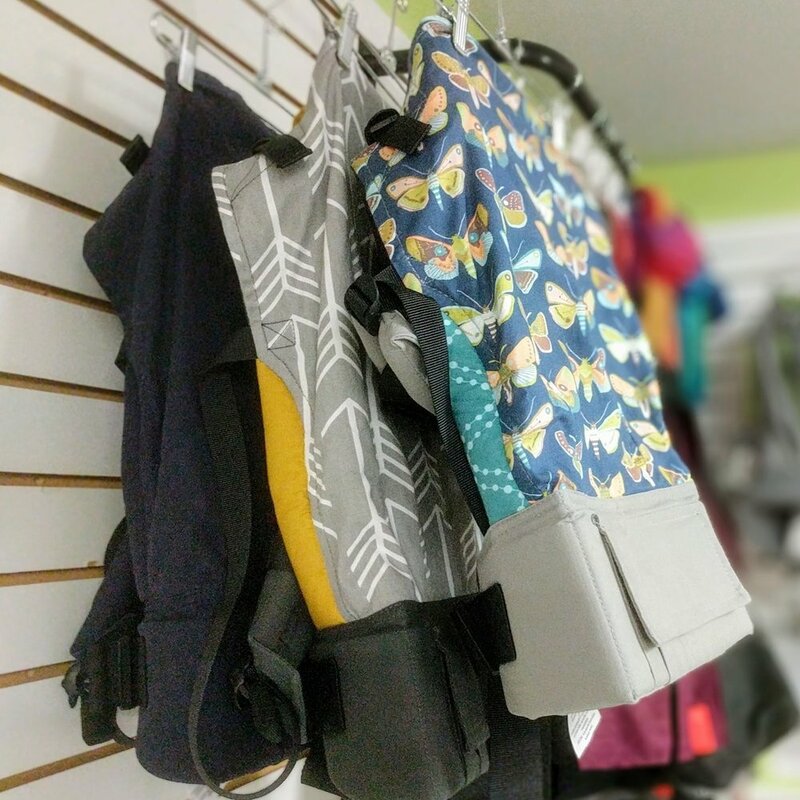 Come learn about all the styles of baby carriers and the basics of babywearing! Learn about using your own carrier(s) or explore new ones while you learn how to securely, comfortably, and enjoyably bond with your 4+ month old baby through toddlerhood! Learn CPR and optionally become certified. This workshop covers CPR and choking for infants through age 8; stay an extra half hour to learn adult CPR as well. This workshop covers the basics of newborn care, with an emphasis on promoting bonding, healthy infant development, and a happy balance for the family. A special workshop just for new dads! This 90 minute workshop will cover the essentials of newborn care and support. Thought you were done wrapping now that your baby is no longer a newborn? Come to our Beginner Woven Wrapping Class to renew the love of wrapping and expand your babywearing skills. Baby getting too big to comfortably wear on your front? Learn how to get your child onto your back in a carrier! Explore the options for potty learning! This 90 minute workshop will set you and your toddler up for potty success. View the world from your child’s perspective to develop strategies to keep them safe from a variety of potential dangers at home. Join us for a two hour facilitated session focused on writing your birth story. Can't get enough of our classes? Have an idea for a workshop you really want to attend as a new or expectant parent or caregiver? Or perhaps you can teach something that's missing from our roster? We are always looking for new workshop leads and talented people to facilitate them so contact us with your ideas!